Just received my new RMT USN and USMC boxcars. Simply stated...they’re awesome. So much so, I plan to honor our USCG brethren and order that one too. I’m retired Navy Captain and love what Walt does to honor our services...I have all RMT's Navy, Earle and USMC Beeps, too. 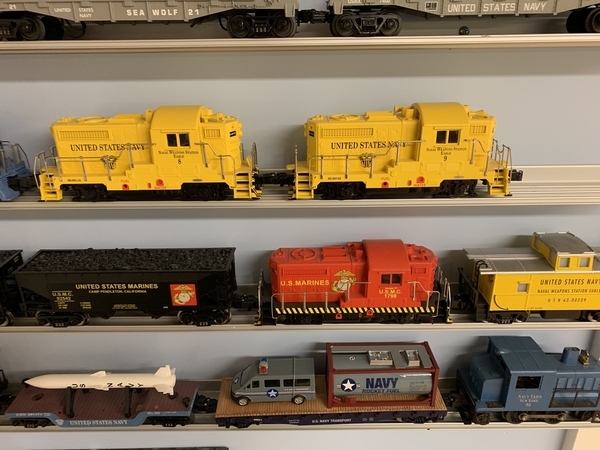 My brother-in-law is retired Marine Colonel, so I get Marine trains, too. RMT will get my order for any follow-on USN (like all shipyards and homeports (would love to see Newport one since I commanded an FFG there). RMT has done a great job and thrilled that Walt is still active in this business. Praying for his continued success. PS. I don’t do Army or Air Force...it’s a rivalry thing...like, Go Navy, beat Army. I have a couple of RMT pieces. The Pennsy Beep and six Pennsy Peeps. I had the Pennsy Beef trio but sold it. Sorry I did. I have two Western Maryland and one US Army Bang and really like them. I also have two Schaefer Beer covered hoppers and an Army caboose. The detail on the Schaefer Beer cars is excellent. Here is part of my RMT collection. Are the new RMT boxcars scale sized? Hard to tell from the website. Even cooler if they get a command upgrade with cruise control and real sound. 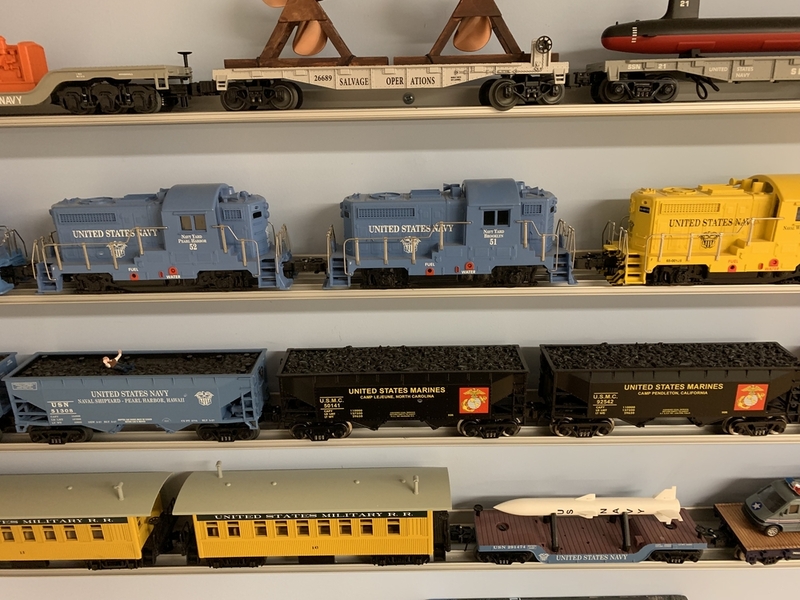 We recently did a Collector's Gallery, Run 304, the February/March 2019 issue of O Gauge Railroading, " A Bevy of Beeps" which chronicled how the Beeps came to be and how Walt Matuch made it happen. Makes for interesting reading and has lots of pictures of Beeps. GUNRUNNERJOHN is right, command control Beeps are even more fun to operate than conventionally controlled versions. Now that Scott Mann has made Electric Railroad Components available again, I think I will make one or two more. The only thing is, the components cost more than the Beeps did 10 or 12 years ago So what, they are still fun to run and worth a little extra dough for command control capability. Just received my USAF boxcar, nice graphics! I hope Walter will do an Air Force water tower - with checkerboard tank and SAC graphics. Beeps from RMT's early years. The little guys get a lot of action on the S&Y RR. And let us not forget the Electric Beep, or Eeep! In response to GRJ's question about size of boxcars, I too would like to know as well. The cars look very similar to the Menard's cars, even down to the different color numbers from using decals vs printing as shown on the Rahway Valley car. I can certainly say that my example of the command controlled BEEP has more money in the electronics than in the actual locomotive itself! Neat little article in the March OGR, I have a bunch of the BEEPs and more shells stashed away. I've only done a couple of command versions, so I have lots more material to work with. Maybe next will be a quadruple MU of BEEPs pulling a freight train. Did they make extra shells for the Bang? I never see them anywhere. Hardly ever see the Bang for sale either. I would like to get a Western Maryland one. I've never seen extra shells for the BANG like they did for the BEEP, I don't recall ever seeing them offered. 02-06-2019 UPDATE: There will be an RMT dealer PA TRAINS..Row C tables 1-2-3-4 at the upcoming Meadowlands NJ Greenberg Train Show this weekend 2/9-Saturday and 2/10-Sunday who will have new RMT boxcars and covered hopper cars AND a quantity of assorted RMT parts and body shells (however NO BANG shells). RMT has not made BANG S-4 switcher shells available because there never were any 'extras' made years ago. Originally the BANG was made about 6-7 years ago and tooling is long gone. Still may have samples of never released 2013-2014 roadnames someplace...still looking for them. 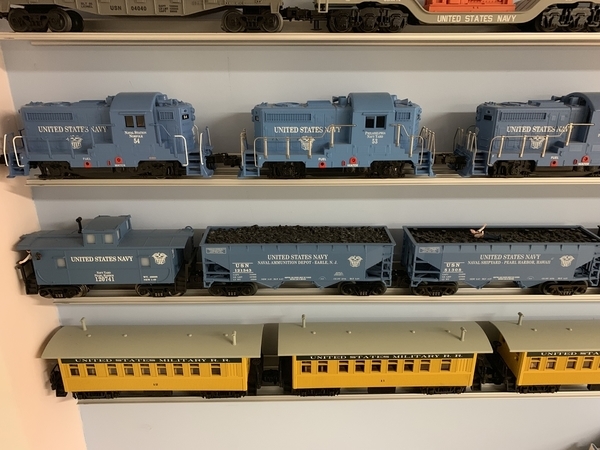 Reply to NVHRYGary...While RMT boxcars many seem similar to other boxcars, rest assured that the new RMT boxcars are from a brand new RMT-only tooling/mold. RMT does all artwork for logo and lettering in-house and specifies correct pantone color matching for all paint used. New technology allows sequential roadNUMBERS now in a process that is also used on other manufacturer's products. While RMT boxcars many seem similar to other boxcars, rest assured that the new RMT boxcars are from a brand new RMT-only tooling/mold. RMT does all artwork for logo and lettering in-house and specifies correct pantone color matching for all paint used. Yes, but are the new ones scale sized or semi-scale? What are the actual dimensions of the car body exclusive of the couplers? Mitch I didn't know Razorback Traction possessed an Eeep. How did I miss that one. 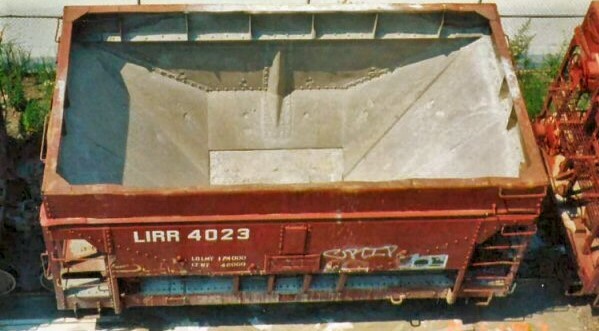 I need some LIRR ORE (SAND) cars but Walter never responded. Nottin - nodda -nutting? Sometime in 2019...……. Looks like OLD Williams molds to me like Menards. Never understood that thingy hanging underneath. Never seen a box car with that. What "cute" name like "Beep" were the shorty powered RDC's called? Are they still marketed? Well, you could do what I just did and go to the RMT site. They’re shown right on the landing page. Both your answers are there. That thingy is a Westinghouse K-brake cylinder. It was outlawed for new built freight cars in 1933. They had to be removed from all interchange freight cars by 1956 and replaced with the AB system currently in use. But they are all under old Lionel rolling stock. Gives enough detail without costing too much to produce. Just my take on it. Those cars are no better than 6464 Lionel, Williams and K-line 027 non detailed toys which is OK if you don't care much. Lionel's 6464's on ebay go for 10 - 15 bucks these days, about what they are probably worth now. I remember paying 75 bucks a car for them back in the day. 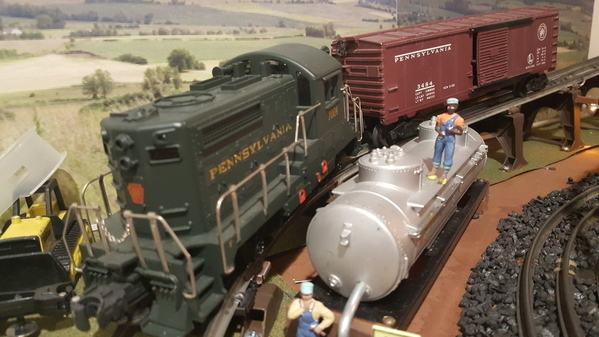 For non-scale cars, Atlas Industrial Rail were the best ever offered in that scale. At least they look respectable with stirrup steps and other details. For 17 bucks a car, they were a good deal back then. I gave all of mine to my Grand kids. I must have been an ostrich, head buried in the sand you know. Attached are pictures of Menards Yankee Lady Boxcar from the 6 car set 279-3101 ( it's individual number may be 1833537808 ) and Ready Made Trains CNJ Boxcar RMT-96426. 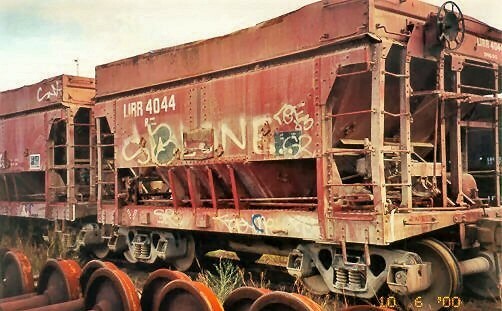 Both boxcars measure the same 10-1/4 inches long x 2-3/8 inches wide (excluding the couplers) and 3 inches top of boxcar to centerline of wheels. In the pictures, the Menards boxcar is above the RMT boxcar. Sure looks like the same molds to me! Thanks for posting that, that's what I was curious about! That's what I thought also. But then I realized the rows of vertical rivets (?) between the bulkheads and door are different RMT has 5 and the Menards has 4. Also the doors are different. But the undercarriage seems to be the same. You're right, I didn't notice the difference there, only looked at the first row and then around the doors. Let's say they're REALLY CLOSE to the same. Agree! The packaging is just as close. Plain brown box with slightly different clamshell. I'll bet they're made in the same factory. The identical trucks are somewhat unique to the Menard's cars, or at least it was. The top sure looks identical as well. Looks like Menard's has moved on to more professional numbering, and RMT is using the decals like the older Menard's cars. You can't tell by the picture, but, to me, the Menards car has a number decal as you can see the clear backing sheet when holding the car at an angle. As far as any newer Menards releases, I wouldn't know if Menards is using decals or not. My 2018 Southern Menards boxcars are 100% painted/printed. No decals anywhere on them.